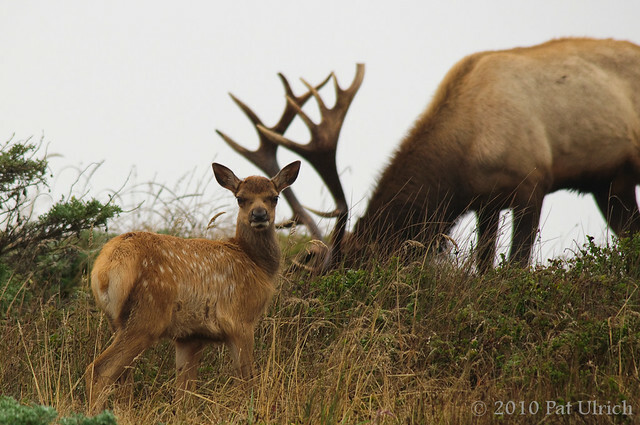 This shot of a young bull tule elk is from the same trip to Point Reyes National Seashore as my previous post. 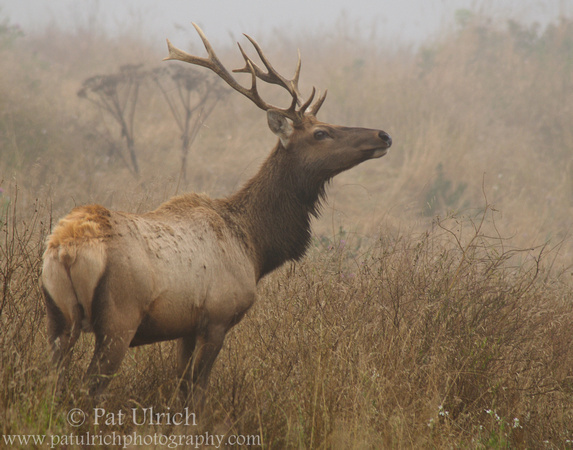 Since this image was taken in February the rut was long over, but this young bull thought he was king of this large harem of females. 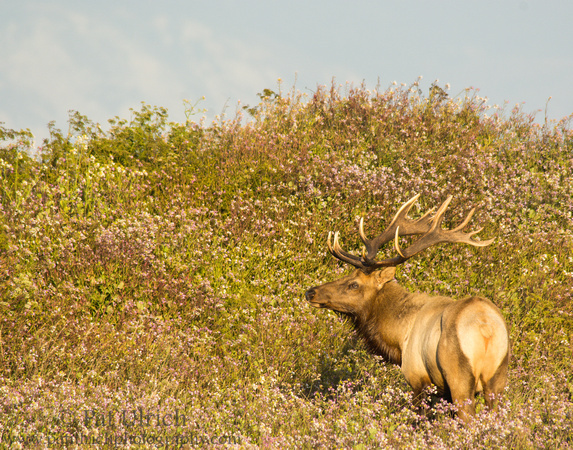 I had seen his antlers rise over the hillside first, and waited for him to appear along the hill crest. 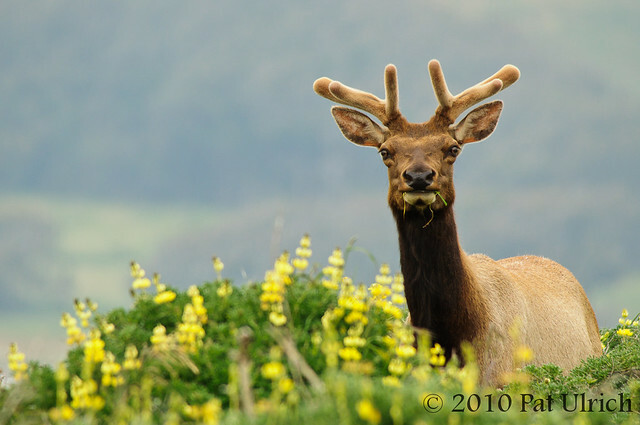 This image is a great example of one of my favorite aspects of photographing tule elk at Point Reyes -- the ability to include the ocean as the backdrop. 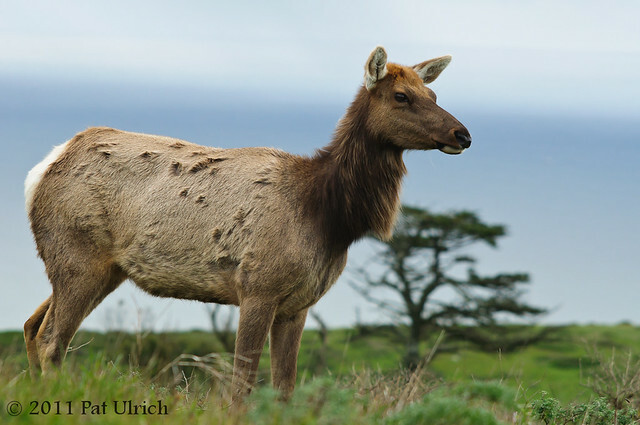 Along Drake's Beach, I've even seen elk hoof-prints in the sand, but I was never lucky enough to have a chance to photograph an elk right in front of the breakers. 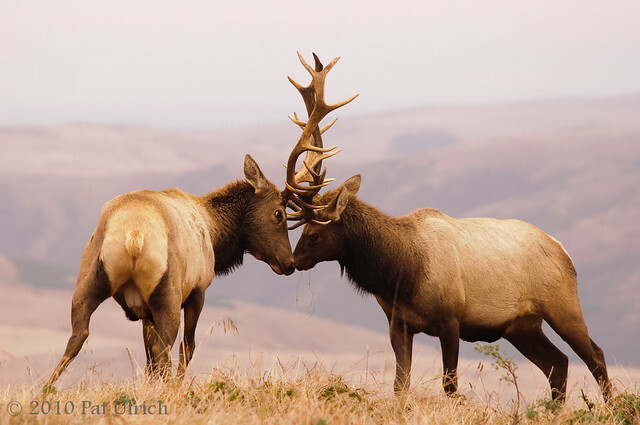 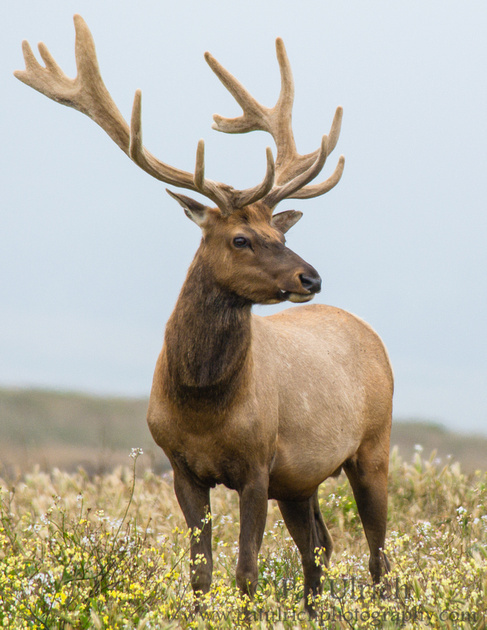 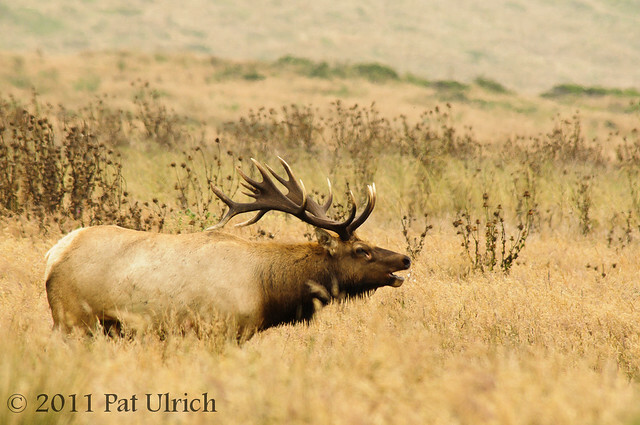 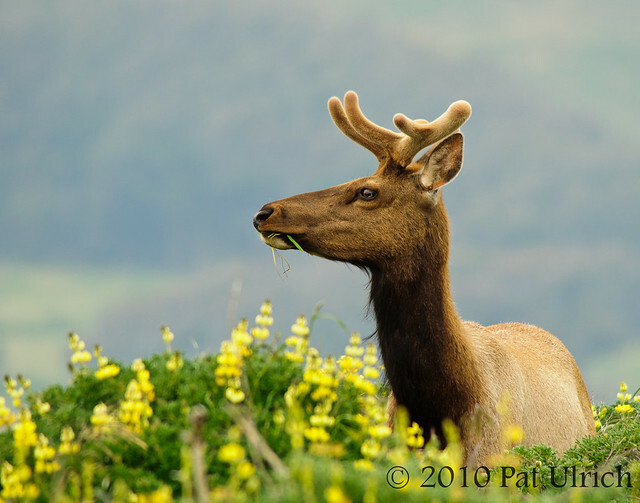 View more photographs of elk and other wildlife on Tomales Point in Point Reyes National Seashore. 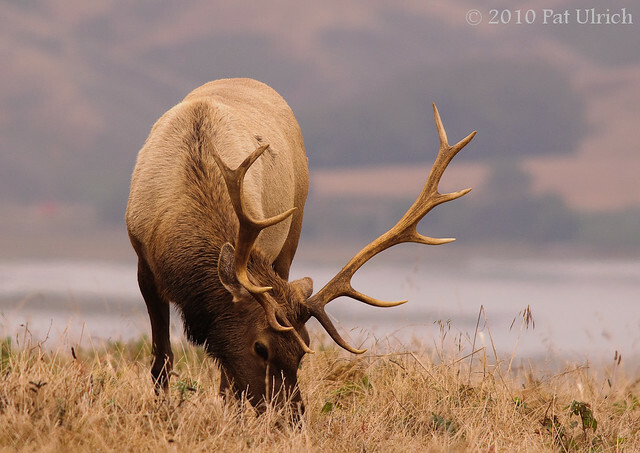 Earlier this week I took a little time to browse through some unsorted images from a few trips I had taken to Point Reyes National Seashore in early 2011. 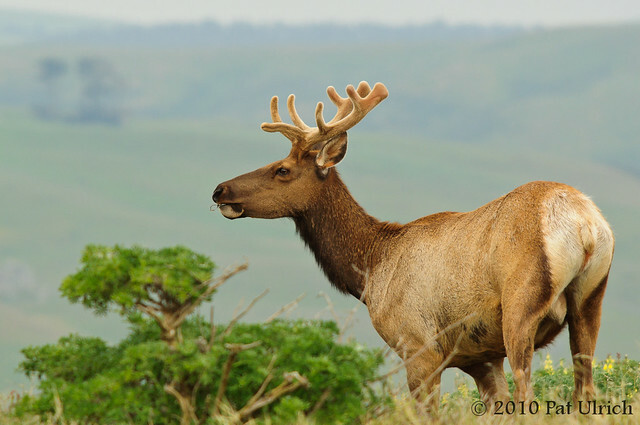 I had some really great outings during the winter there, and this particular trip was a real highlight. 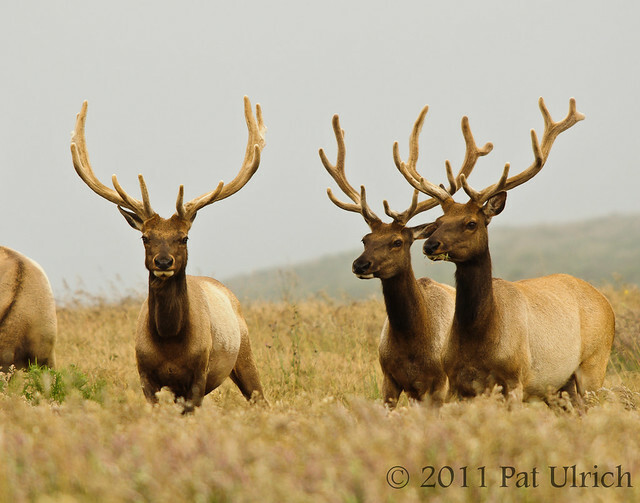 I saw a wide array of wildlife, from shorebirds to kestrels, skunks to bobcats, and of course, tule elk. 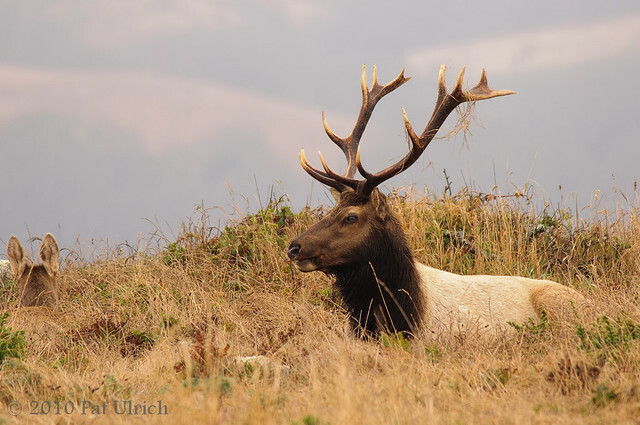 On this cold morning there was a slight chance for ground level snow in the higher elevations of the Point Reyes peninsula, so I was out there for sunrise in the hope of finding such a rare scene before my lens. 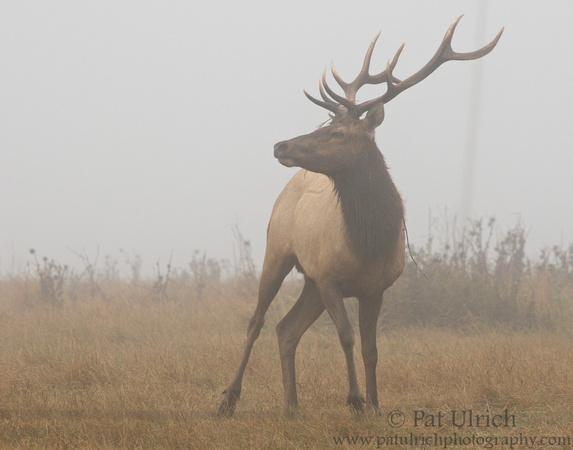 It turned out that it had only rained overnight, but the wildlife was incredible in the cool morning air. 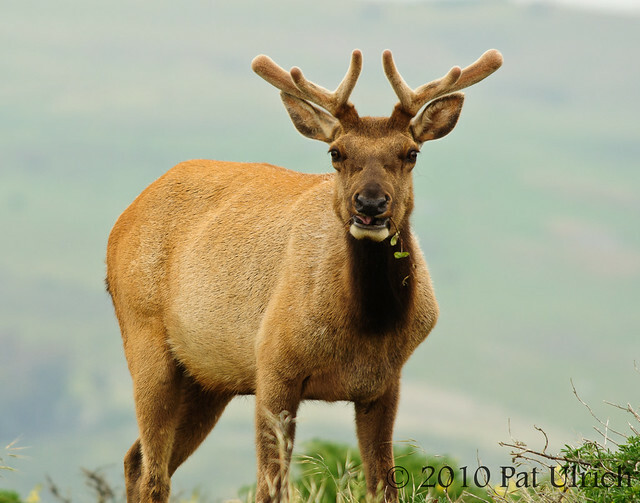 I saw a large herd of tule elk near the road on Tomales Point, so I pulled my car off onto the shoulder and sat to watch them. 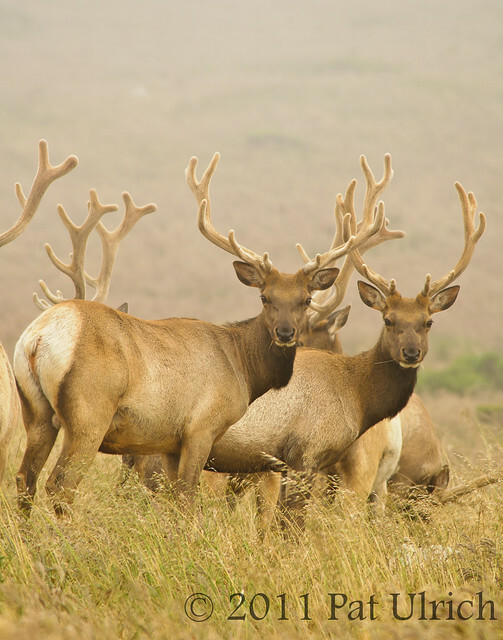 In just a few minutes time, the whole herd had surrounded my car, and I was able to get an intimate view of their daily life. 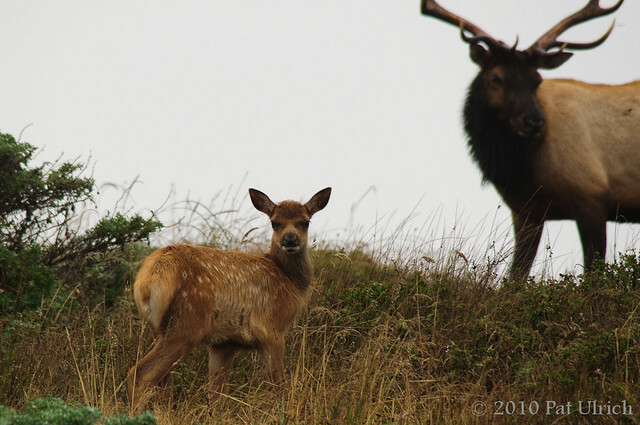 I rolled down all of my windows, and moved from seat to seat in the car for over a half hour before they slipped down a nearby hillside. 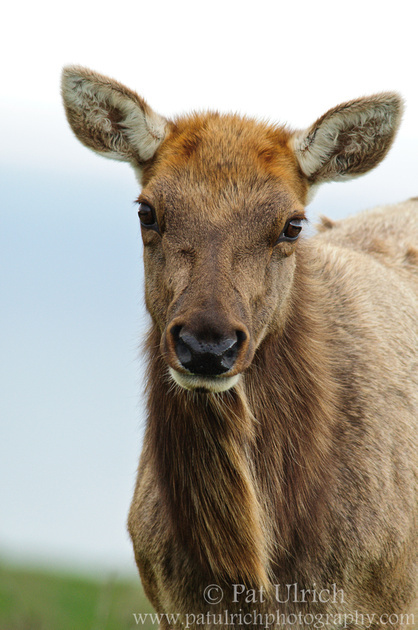 It's such a privilege to be so close to a group of large animals like this, and I really enjoyed the chance to take some detailed portraits of the elk. 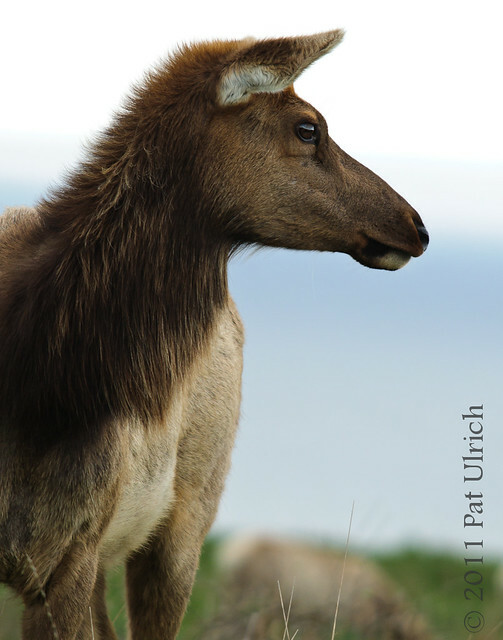 In this shot, her head looks so soft and fluffy that I want to reach out and give her a scratch behind the ears (not literally of course, no good would come from trying that). 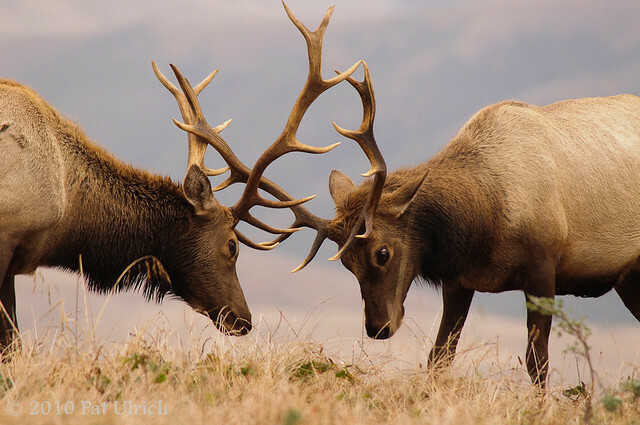 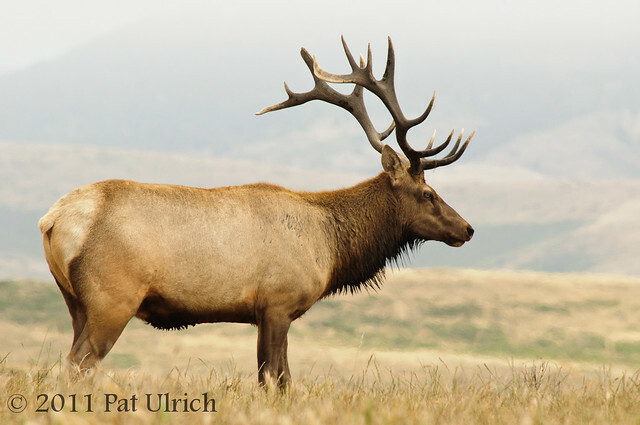 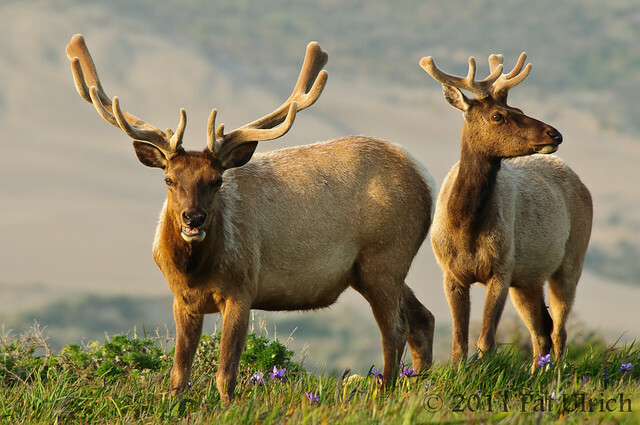 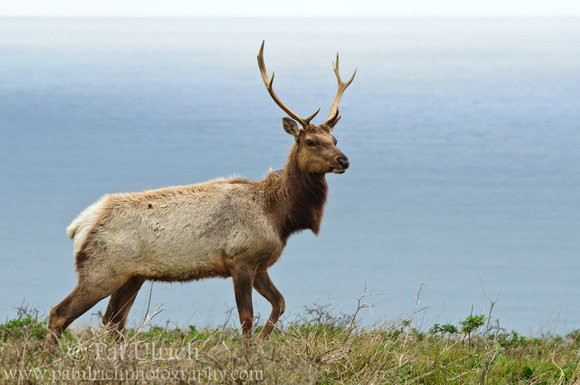 View many more images of tule elk in Point Reyes National Seashore in my Tule Elk Gallery.